Maybe the rate at which we experience time is a function of age and number of children. This year, we increased on both of those inputs.. 2016 brought the longest days and months as we waited, wondered, and prayed for our baby Fern. As a result, our year was full of amazing adventures and the building of the most wonderfully supportive village in the Pacific Northwest. That said, I’d be lying if I didn’t admit that we were mostly, and frankly are still, in survival mode. No doubt, there were lots of exciting moments in 2016 – but none as amazing as the addition of our sweet miracle, Fern. 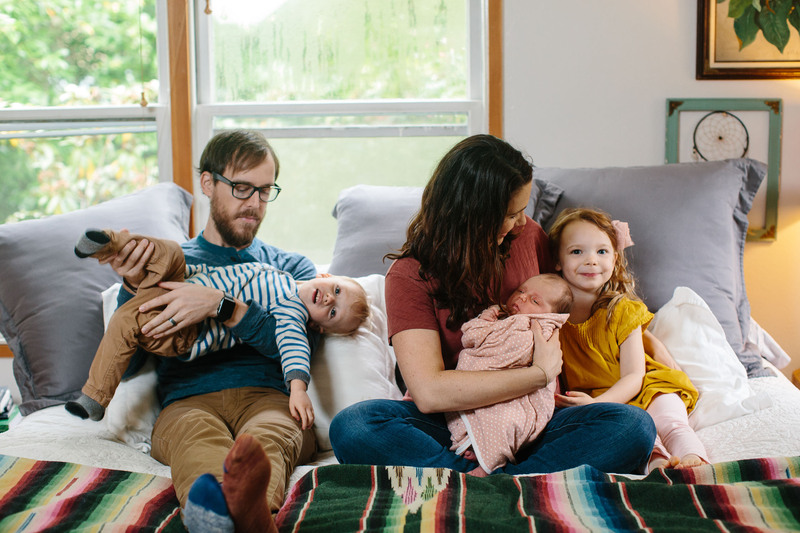 Last year, an easy theme emerged as I recapped our year: The seasons seemed to mirror our experiences during our first year in Portland. The flow of words came unimpeded… Effort or not, this year has been about embracing chaos with happy hearts and positive attitudes. So here goes. Long gone is the appeal of a wild night out on New Year’s Eve. Maybe our desire to be hip and feel young will return one day when the kids actually sleep through the night, but for now a celebration in “the Tiki Basement” complete with tamales, guacamole and an epic ping pong tournament seemed ideal. This sentiment yielded a new tradition with the bringing in of 2016.. Family Gorham traded SoCal sunshine for a New Year’s celebration in the cold and rainy Pacific Northwest. Luckily, we enjoyed a few crisp, dry days that allowed for a trip to the Gorge and wine tasting in the Willamette Valley. As we approached the anniversary of our move to Portland, we began to feel settled in our new home. Finally feeling like true Oregonians ourselves, we learned that we were expecting our first (and only!) native. In February we celebrated Olivia’s 4th birthday with a party of Olivia’s own creation: The Rainbow Party — rainbow cake, playdoh and decorations. In March, at around 11 weeks pregnant, our adventures with Fern really began. During what would become an emotional few months, we were fortunate to have the support of our families and an amazing village of friends. We waited anxiously, week after week, for a miracle. You can read more here, here and here about our journey with Fern. 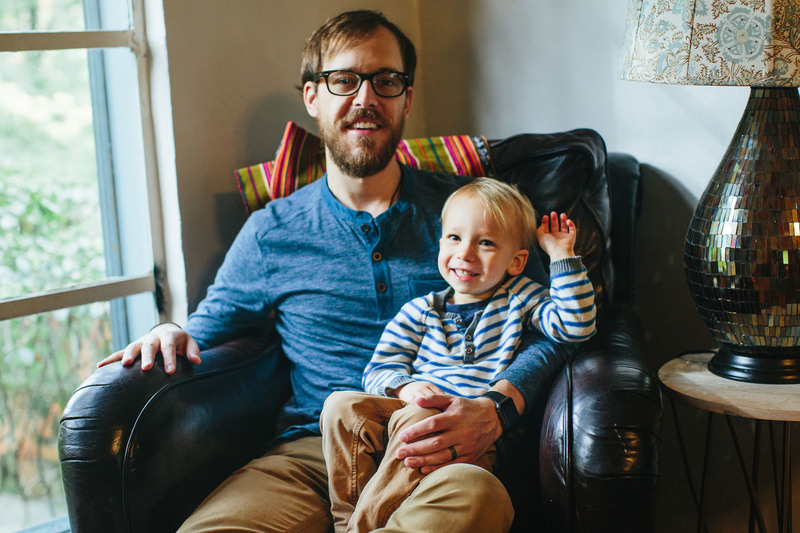 In April, we celebrated Townes’s 2nd birthday, camp style, complete with a campfire cake and e springtime creek play. As I entered my second trimester, we shared the news of our sweet new addition with friends and family. We celebrated Easter with the first of many epic egg hunts in our front yard. We ventured to Woodburn for the Oregon Tulip festival and made multiple trips out to the Gorge to hike Olivia, now officially ambulatory on her own accord,, conquered 3+ mile treks. She has become quite the little hiker! May brought gradual improvements in Fern’s sonograms, and by 16 weeks were very close to “normal.” Now on summer’s cusp, we welcomed the longer, warmer days. Again, we u-picked our way through the summer, trying our best to stock the chest freezer for the winter months: Strawberries and cherries in June, blueberries and raspberries in July and peaches in August. Dan made a trip in June to CA to help “Uncle Chip” move North. It was perfect timing.e needed a landing spot in PDX while he got settled, and I was in desperate need of an extra set of hands. I honestly don’t know how I would have survived this summer without his help. We celebrated my 30th birthday,and the beginning of my third trimester, with a trip to Bend. We adventured in the Santiam State Forest at Three Pools in Opal Creek, had our first family hot springs experience at Paulina [pronunciation: PAUL-EYE-NAH] Lake, and enjoyed some amazing meals. With August came the return of weekly doctors visits for fetal monitoring. This, of course, on top of acupuncture and chiropractor visits and our schedule seemed packed. The kiddos were lucky enough to see all three grandparents for summer visits this year. We shared concerts at Kruger Farms, picked berries at Smith Berry Barn, and hiked the Gorge. September’s arrival also meant Fern’s arrival, and we started making plans. We were almost certain that I would need to be induced a few weeks early due to the general “high risk” nature of my pregnancy. With induction scheduled for 9/21, I was thrilled to be the parent helper for Olivia’s first day in the “Sunflower” class at her Waldorf-inspired preschool. The following day at my fetal monitoring appointment, with concern about my blood pressure, my doctor and I made the decision that induction that night was the safest call. 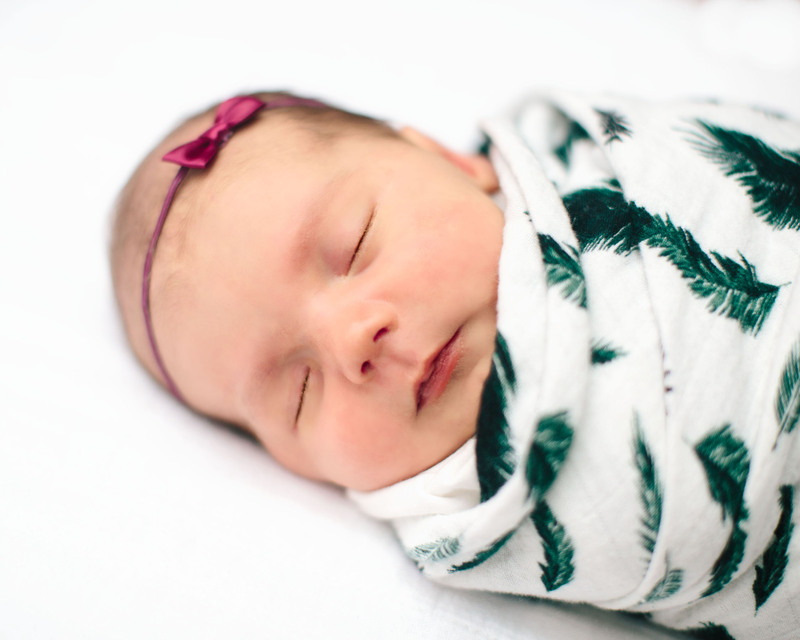 Our perfect Fern Opal was born the next day, September 8th, at 5:05pm, 7lbs 4.4oz. I’d love to provide you a link where you could read Fern’s whole birth story, but alas, that has yet to be documented (#thirdbabyproblems). The most uncomplicated part of my pregnancy with Fern was labor and delivery. It was remarkably fast and easy; I had a short, active labor and successfully avoided any unnecessary intervention. 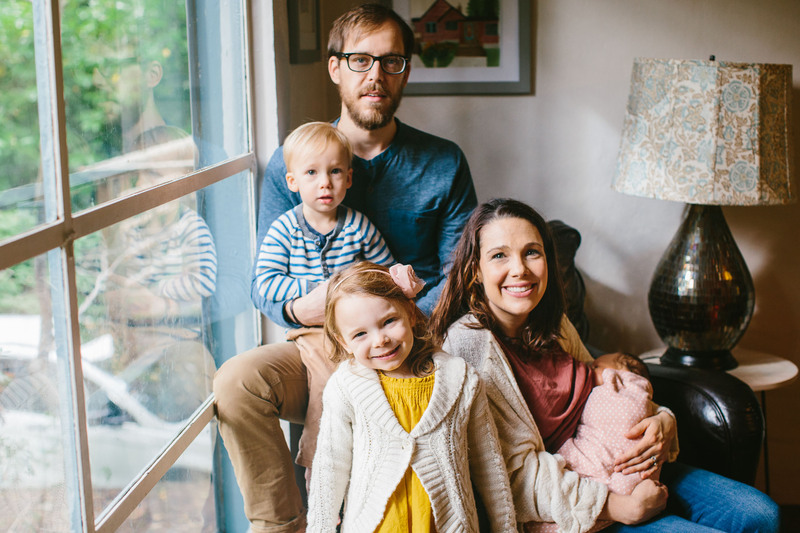 Townes and Olivia were over the moon to meet their new baby sister and we were anxious to get home and start settling in as a family of FIVE. 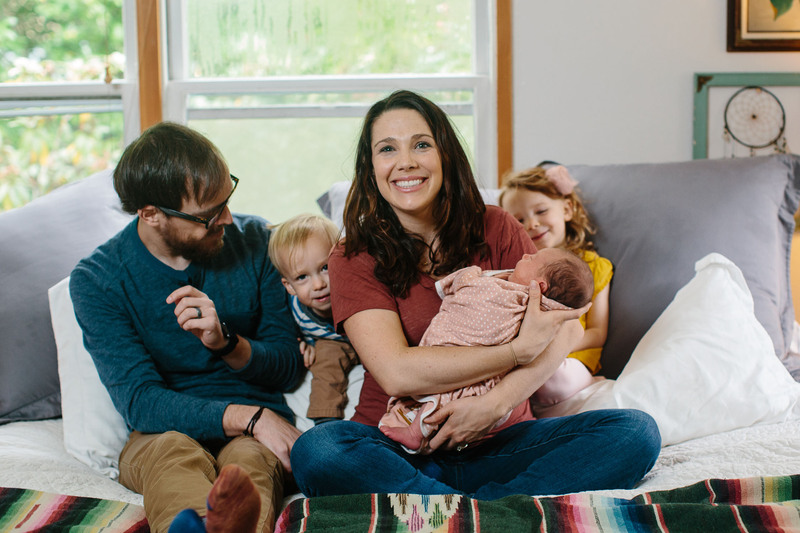 Fern’s post-birth echocardiogram revealed a still-present muscular VSD (something we’d identified somewhere around the 19th week of pregnancy), resulting in a grade 2 murmur. Thankfully, this is not cause for immediate concern, and will only require a follow-up with a pediatric cardiologist at 6 months. We were blown away with the outflowing of support and love from our friends and family,especially our Woodhaven community. Through delicious meals (and wine! ), rides to school for Olivia, and entertainment for Townes, we survived those first few months. Outings were sparse., Fern’s first was a trip to the u-pick apple orchard where we collected almost 20 pounds of apples and pears. Dan’s 6 week paternity leave allowed for him to volunteer as the parent helper in Olivia’s class several times. It was an experience he would say was transformative, validating our choice for more gentle and peaceful parenting approach. After the first day, he came home saying that it was one of the highlights of his year! The big kids loved having Dan home and enjoyed numerous “Dayda Dates” to the OMSI, Powell’s, “The Coffee Store” and of course, Hopworks. Qhen Dan returned to work, we welcomed more family help, and I started practicing our new normal tackling daunting tasks like the grocery store with more kids than hands and getting three kids in and out of car seats and gear in the rain. Halloween in the PNW is challenging for small trick-or-treaters. Not only is it likely to be raining, but by October, “the darkness” has started to set in. Shorter days with earlier sunsets, coupled with the lack of sidewalks or light pollution in our quadrant of Portland bring a different Halloween experience. Still, set on trick-or-treating this year, we braved our neighborhood streets with a forest fairy, a knight, and a colicky baby. Some of our first big storms came in the first weeks of November, turning our creek into a rushing stream (sometimes flooding into a lake) and the promise of a very wet rainy season became apparent. Since this isn’t a political statement, we’ll just casually move right into the next (fittingly dark) season. For Dan’s favorite of our family’s Christmas mores, we selected our very first Nordman Fir, Hillary Nordman, retiring Juan Noble in favor of the healthiest and happiest of the u-cut trees, while also maybe paying homage to our first almost lady president. After cutting and carrying our 6.5 ft beauty through the forest, we enjoyed a late lunch (and good beer) at cozy spot in the country. Kicking off the advent season, we gathered with our Woodhaven community to participate in a spiral walk. The children walk to the center of a spiral of evergreen branches where they light a candle, then retrace their steps back to their families. Singing and watching the light in the room grow was such a wonderful reminder of the light we carry within, and the importance of sharing it with others during this season. We’re looking forward to some fun Christmas outings including: The festival of lights at the Grotto, watching the Christmas Ships from the bank of the Willamette, and visiting hipster Santa downtown. In a year with basically zero travel, we’ve been super lucky to have our families all here to visit. Plans for next year include a 2+ week “triangle trip” to both Texas and California over spring break, and hopefully our first family camping trip over the summer! We sincerely hope that your Christmas season to be filled with love, light and peace! Olivia: Four and a half and will tell you her life story if you so much as glance in her direction. She loves chatting up adults and telling them all about her age, siblings ages, and her school. She still has very strong opinions about “soft pants” and what gets packed in her lunch. She loves “dragon tears,” playing doctor, and dogs. Chickens & a coop are on the top of her birthday wishlist (we told her that Santa doesn’t bring live animals and we’re on board with chickens, in fact they’re already in the works for Family P: Spring/Summer 2017). She has become quite the artist, practicing drawing pictures of her friends, family and school. You can often find her sitting at the kitchen table, listening to “Magic Treehouse” books on tape, doodling cards for her friends. She’s mastered writing most of her letters and loves to help me write “to-do” lists. Favorite Colors: Red and Pink. Favorite Foods: “Flat Cheese Sandwiches” (not-grilled, American cheese sandwiches). “Bongo beans and Rice” (Garbanzo Beans, Brown Rice and Aminos) and “Noodle Soup” AKA Pho from TuTus (Our favorite neighborhood food truck). Townes: Two and a half and becoming quite the chatty little guy. He managed to inch his way on to the growth chart this year. He’s still very reserved in new situations and environments; it takes him a tick to warm up. He officially weaned around 22 months but is nonetheless still quite attached to his Mama. He’s always practicing all things “big kid”, following Olivia’s lead, and likes to “do it myself.” He’s perfectly content being sandwiched in between a big “tita” and a little “Fernita” as long as he still gets adequate snuggle time from Mommy and Dayda. 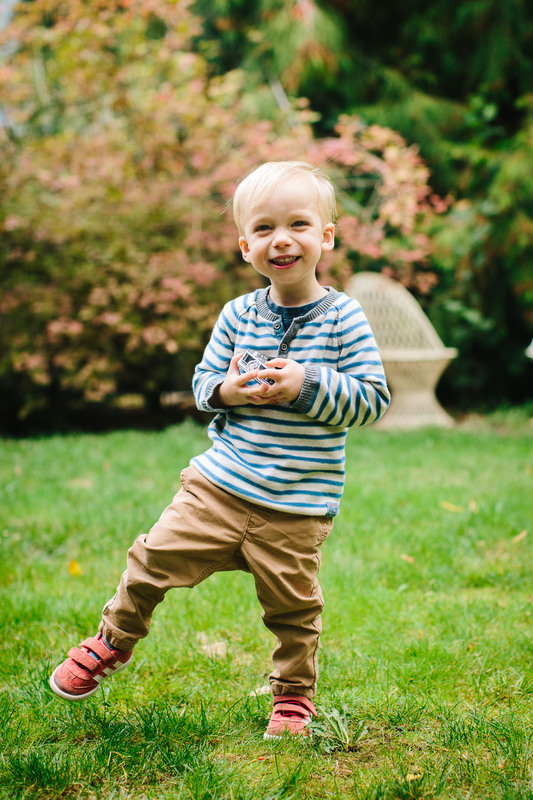 Some of his favorite things include: binoculars, flashlights and anything with a button, cord or plug. Loves to paint and get creative at art class at the Multnomah Art Center. Starting to get the hang of sitting on the big potty and fingers crossed will “potty train” without much assistance. Wakes up hungry and although picky, is a great little eater. Loves to help himself and knows exactly where to find the “Damn Crackers” (Perfectly endearing pronunciation of Graham). He’s a big helper in the kitchen and has become the expert potato scrubber, carrot peeler and chopper of all things. We never imagined it possible after Olivia, but Townes really is an even goofier kid. One of his favorite phrases is “oh! a joke!” followed by forced laughter. Refers to himself as “Tao Tao” or “Tao Bamboo” and is constantly keeping us in stitches. He’s a little risk taker, not afraid to climb up on stools, counters, and chairs, resulting in the most adorable little chipped front tooth earlier in the year. Favorite Foods: Seaweed, Any kind of pasta, Crock Pot Chicken tacos, “Ah-Wos” (Olives), muffins and all kinds of fruit. Fern: A “chunker-monker” with many nicknames. Depending on who you ask… she’s Fernie, Fernita, Tenacious Fernacious, Ferniture, the list goes on. A challenging temperament, she’s certainly the completion of our family. Colicky as she may be, her presence is such an amazing miracle and we’re reminded of it frequently. Hard as it is, we’re rejoicing in every difficult moment in this newborn stage. My best nurser, with the biggest tummy issues, we’ve at least (at LAST!) been blessed with a good sleeper! This girl sleeps a pretty predictable 6 hour stretch almost every night for which we are super grateful! Loves her paci, keeping a watchful eye on her big brother and sister, and being worn. THis snuggle bug, loves tub time with Mama and watching Dayda play his guitar. She’s already scared us with more ER/ Urgent care visits than her siblings combined. We’re all absolutely and completely in love with our little Fern and are enjoying every moment of the fleeting infant stage. The longest, shortest time. Meg – How many pair of yoga pants do I own? At least one pair for every day of the week. How long has it been since I last hit the mat? Let’s just say, I’m grateful that athleisure is officially a trend. Between the dusty, dirty days on the u-pick farm and the wet and muddy preschool pick-ups, I very rarely find myself motivated to really “get dressed.” This year has left me incredible thankful for lots of things,even more than spandex pants and baseball caps: some of the greatest friends – far and near, who have really come together to support our family during a really tough year. Survival mode has me saying “yes” to the big kids a little more often and indulging in take out, grocery delivery services and coming 2017: a housekeeper!? I’m practicing choosing joy among the piles of laundry and crusty floors. Hobbies include: breastfeeding, calendaring, pinteresting, and meal-planning. Favorite Foods: Vanilla Hemp Latte, Coconut LaCroix, Pinot Noir, and anything I can eat easily without spilling on Fern’s head. Dan – Between lots of doctor’s visits, sonograms, and fetal monitoring in the first half of the year and a generous paternity leave, Dan was actually home a lot! He successfully escaped for a weekend camping in Big Sur en route CA to OR in June and made some time to enjoy some of his favorite bands as they came through Portland. This was a year of cooking for him. He’s learning the basics, now, but has generally assumed responsibility for breakfast every weekend morning.. Monday through Friday you can still find this dude at Intel, computing about computer stuff. He’s professionally into category theory, compilers, and hacking on distributed consensus problems,all while listening to lots of bones music and occasionally brushing up on his ping pong skills. Hobbies include: Telling dad jokes, reading books, hiking on trails, camping in tents, listening to tunes, and the constant mission to grow as an empathetic human being. 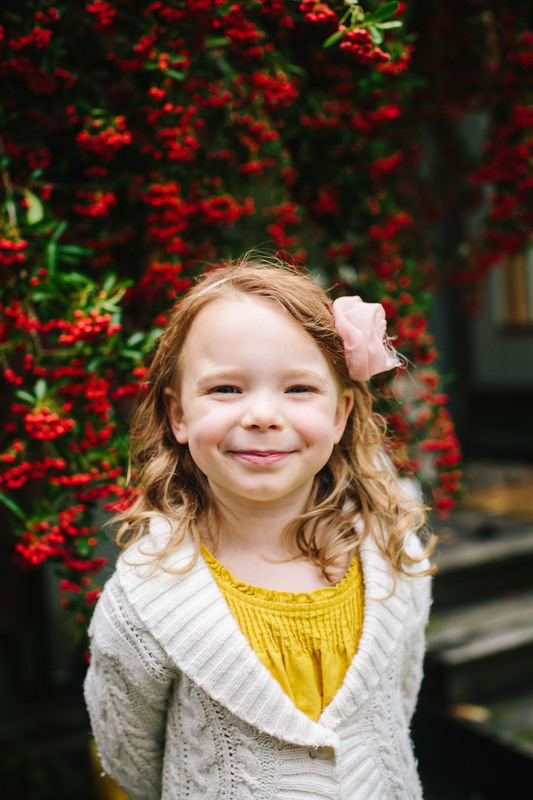 This entry was posted in Family P, Fern, Olivia, Townes, Uncategorized.